SAN FRANCISCO — The firing of Google engineer James Damore for claiming women are not biologically suited for technical roles has triggered a culture war inside the Internet giant, with some Google employees saying the company is not doing enough to protect them from a harassment campaign that has subjected them to hateful comments and violent threats. These employees, many of whom volunteer as diversity advocates, say they've been targeted by some of their own coworkers for fighting to bring greater diversity to Google's 78,000-plus staff of mostly white and Asian men. Their personal information and comments expressed in internal company forums have been leaked to the public and published on far-right websites, leading to mistreatment by online vigilantes. What's more, they say they've been subjected to doxing on websites like 4Chan and Kiwi Farms after screenshots were included in the 161-page lawsuit Damore filed in January alleging Google discriminates against whites, conservatives and men. Too little action from Google management drove them to speak publicly for the first time this week when they told their stories to Wired magazine. They say they are hopeful they can pressure the company into taking a stronger stance against the growing abuse and that they can help stop this kind of intimidation and bullying from happening at other tech companies. "What we want is for our company to be a great place to work and for everyone to be able to do their job without having to worry they are going to get a death threat in their email," Google software engineer and diversity advocate Tariq Yusuf told USA TODAY. Google says it has met with the affected employees and addressed direct threats. "As we’ve said before, we strongly support the right of Googlers to express themselves, and an important part of our culture is lively debate. But like any workplace, that doesn't mean that anything goes," Google spokeswoman Gina Scigliano said in a statement. "When we discover code of conduct violations, we take action, including termination of employment." Google site reliability engineer Liz Fong-Jones, a trans woman who has been the target of a harassment campaign conducted by a group of "extremists" inside Google, says she knows "multiple" colleagues who were not contacted by human resources or who were told that the company couldn't do anything about their concerns. "We need to see concrete and meaningful action," Fong-Jones said. 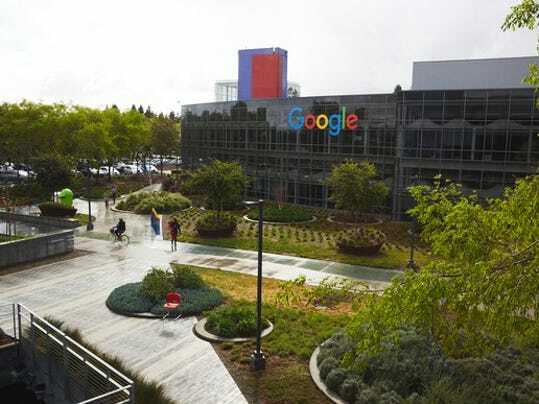 With its abundant perks, Google's corporate culture is supposed to be one of the friendliest on the planet, inspiring loyalty among staffers and regularly landing the company atop lists of the best places to work. Yet tensions have arisen over the company's attempts to re-engineer its mostly white-and-Asian male demographics to include more women and people of color, painting a less rosy picture of work life and putting Google in the cross hairs of the nation's increasing polarization. Members of the far right have escalated their campaign against Google and the tech industry in recent weeks. Chuck Johnson, who was kicked off Twitter in 2015 after tweeting about wanting to "take out" civil rights activist DeRay McKesson, filed a lawsuit against Twitter on the same day that Damore filed his against Google. That week, James O'Keefe's Project Veritas also released undercover videos of Twitter employees that it said showed the company is out to quash conservative voices. For the far right, Google, with its progressive views and policies, is an enticing target. Not only is it one of the best known companies on the planet, but Google also was responsible for kicking off tech's push to bring more women and people of color into the industry in 2014 when it went public with its demographics, revealing what everyone had long suspected, that it employs too few women and very few African Americans and Hispanics. In addition to a broad range of initiatives to create a more diverse workforce and welcoming corporate culture, Google has also begun to support racial justice causeswith grants from its philanthropic arm Google.org. But good intentions have not translated into tangible progress and the company has encountered some setbacks. It's being sued by women who allege Google pays them less than men and investigated by the Labor Department into what it says is "systemic compensation disparities against women pretty much across the entire work force." Google says its own analysis of employee compensation shows no gender pay gap. At the same time, resistance to Google's diversity efforts — from hiring more women and people of color to unconscious bias training — has been growing on the company's internal message boards. That debate blew up last August when Damore's memo leaked and he was eventually fired. Earlier this week, Google CEO Sundar Pichai said he did not regret firing Damore, claiming it was not a political decision but a necessary step to make sure women at Google felt that the company was committed to creating a welcoming environment. "It is important for the women at Google, and for all the people at Google," he said. "We want to make an inclusive environment." Several Google employees told USA TODAY that Damore's firing marked an escalation in the harassment campaign, with the small group of instigators stepping up efforts to target diversity advocates inside the company. Among the tactics: camouflaging harassment as free speech and goading diversity advocates with seemingly innocuous questions into making inflammatory statements that were then reported to human resources as violations of Google's rules. By far the most chilling behavior is the public harassment incited by coworkers, says Fong-Jones. According to Wired, at least three Google employees had their phone numbers and addresses posted publicly. Far-right provocateur Milo Yiannopoulos shared an image of the Twitter profiles of eight advocates at Google, many of them transgender employees, with his 2.5 million Facebook followers. Fong-Jones had her name and face plastered on a website run by far-right blogger Theodore Beale, also known as Vox Day. Beale published excerpts of a conversation between Fong-Jones and a colleague, where Fong-Jones argued that Damore should not have been allowed to publish his memo on an internal Google channel. "Google's SJWs (social-justice warriors) are starting to get nervous as evidence of their internal thought-policing begins to leak out into the public," Beale wrote. Fong-Jones was targeted by violent threats and transphobic slurs. Commented one person on Vox Popoli, which promotes white nationalism and identifies itself as part of the "alt-right:" "They should pitch all those sexual freaks off of rooftops." The attacks have had a chilling effect. "In recent months there has been a pattern of taking diversity advocates and doxing them by putting them on blast to the 'alt-right' communities," Yusuf said. "Now they have to be careful. 'How much of myself do I want to put out there?' Which is ironic because one of the big mantras of the company is being able to 'bring your whole self to work.'" Though some in human resources and management have been supportive, taking steps to protect employees being harassed and threatened, Google management has been largely ineffectual, employees say, telling all parties, in essence, to knock it off and get back to work. Yusuf called the response from top executives "apathetic." "The biggest thing that myself and my coworkers want to see is Google leadership owning that this has to be addressed and making a bold statement that this is not OK," he said. Alon Altman, a senior Google engineer, told USA TODAY that Google management seems to be stuck in a cycle of "assuming good intent," even when dealing with repeat behavior and offenders. The fallout from that approach, according to Altman: The company's efforts to recruit and retain people from underrepresented groups are being harmed as former Google employees encourage job seekers not to apply to Google and current employees consider leaving. 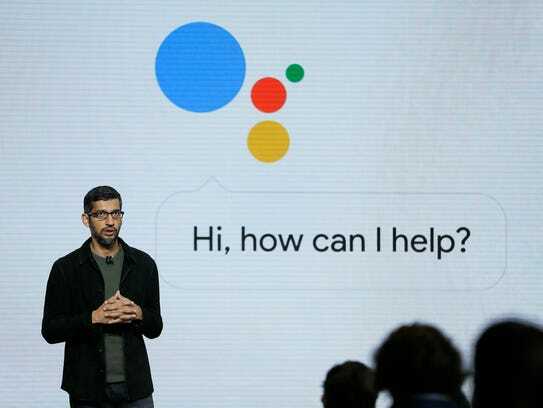 "I'd like to see Google make more of an effort to protect our safe spaces and to make sure that people who get information out of the company from sensitive forums with malicious intent are disciplined accordingly," Altman said. "I think Google is doing a lot of things that are right. But I think that Google is not doing enough. Google should take an explicit stance, at least internally, and say these things are not OK."